I’ve been in the field of communications for the past 17 years. I developed my passion for marketing and communications while working at T1, an experiential marketing agency in Toronto. 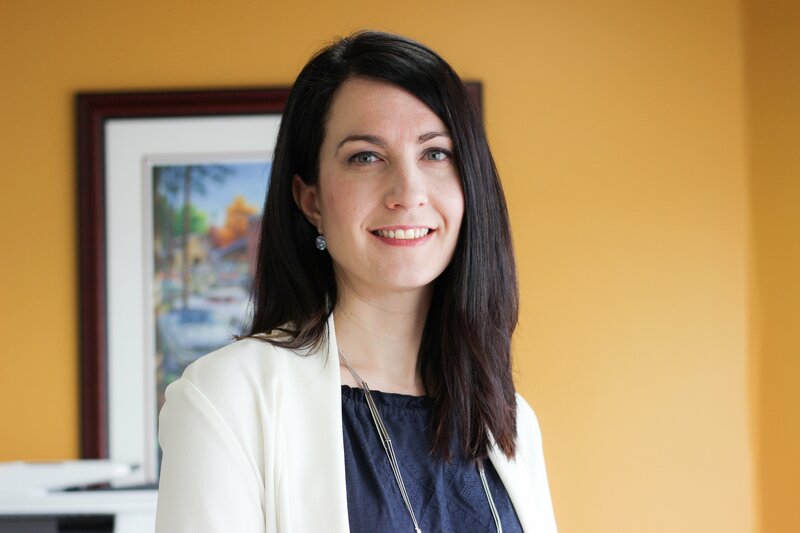 When I relocated back to Newfoundland, I began working with Eastlink, formerly Persona Communications, where I continued to hone my skills as a communicator through progressive roles in corporate communications, marketing, product management and project management. After staying home with my children for a couple of years, I jumped right back into the marketing world through event planning at Memorial University. This brings me to my current position, Director of Marketing and Customer Experience at Hickman Automotive Group. I now manage marketing and communications for 14 stores, representing 11 brands. I also oversee our Customer Care Centre for the Hickman Automotive Group. I grew up on the Bay of Islands in the beautiful city of Corner Brook before moving to St. John’s to attend university. After graduating from Memorial University with a Bachelor of Commerce in Marketing, I worked in Toronto for a few years before returning to my roots back in St. John’s where I now live with my husband and two young boys. I’ve always had a passion for creativity and communications. The marketing communications field brings these two things together nicely. In university, while on school council, I was responsible for creating promotional pieces to get the word out on events or activities. During this time, I completed the Dale Carnegie Course, which taught me a lot about communications, people skills, presentation skills and getting out of your comfort zone. Since completing my Bachelor of Commerce, I’ve completed courses in brand management, photography, customer service and product management. On a bi-weekly basis, I currently attend online webinars on marketing, customer service and communications. I’ve also completed several courses at the Gardiner Centre at Memorial University, including the Digital and Social Media Program. I love connecting people and ideas and the strategy behind it: What’s the message? What’s the story? What’s the platform? Timing? Audience? Budget? It’s a complex web and you try and put the right formula in place for each market you are targeting. IABC offers a wealth of services to its members as well as networking opportunities to connect people. I’ve attended IABC events in the past and I look forward to more in the future. Where do you see your career going/what plans do you have for your career? I The marketing and communications world is changing on a daily basis. I continue to grow and evolve with it, being a life-long learner in the process. When I began the role I am in today, as Director of Marketing and Customer Experience with Hickman Automotive Group, I was the first communications professional they had hired to manage their marketing. I work with two advertising agencies, 14 stores, 11 brands and our Customer Care Centre, working with multiple managers to get things done. I’ve really only scratched the surface and I still have a lot of work to do in this role. I find this challenge very exciting and rewarding. Beyond that, I see no boundaries as to where my career could go.